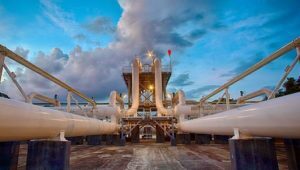 Indigenous engineers at the Ghana National Gas Company (Ghana Gas) have finally taken over technical operations of the country’s premier natural gas processing plant at Atuabo in the Western Region. Consequently, the company has dispensed with the services of expatriate engineers and Sinopec, a Chinese company, which had been in charge of operations of the Atuabo Gas Processing Plant (GPP) since November 2014. During a tour of the plant Wednesday, the acting Chief Executive Officer (CEO) of Ghana Gas, Dr Ben Asante, said the indigenisation of the company’s operations had saved it more than $2 million monthly or $24 million annually. The money was used to pay for the monthly operations and management consultancy services rendered by Sinopec to Ghana Gas. The takeover of the technical operations of Ghana Gas followed a major decision by the management not to renew the contract for operations and management consultancy services of Sinopec after it expired recently. Dr Asante said local engineers at the company had gained substantially from the experiences and knowledge of the work processes at the plant and exhibited their capacity to manage the technical operations of the company. “That is why we’ve been running this plant over the past four weeks without the expatriates and without unusual challenge. In some jurisdictions, such as Trinidad and Tobago and even Nigeria, facilities such as these have been in the hands of expatriates for decades, but we have developed these skills within these few years after the inception of the company in 2011,” he said. He said after the processing plant was commissioned into service, the management made a conscious effort to attract, train and retain Ghanaians to take over the running of the plant to give meaning to the indigenisation of the industry. The acting CEO said the move to deploy Ghanaian expertise in the operations of the facility was to ensure a true Ghanaian ownership of the country’s first indigenous gas processing plant. From the inception, he said, Ghanaians went through the commissioning process, comprising the integrated application of a set of engineering techniques and procedures to check, inspect and test every operational component of the project. Dr Asante said from individual functions, such as instrument and equipment, up to complex amalgamations such as modules, sub-systems and systems, Ghanaians had the hands to deliver on promise. Ghana Gas, he said, placed premium on safety and continued staff development to harness local talent, fully aware of the importance of energy sufficiency to the transformation of the national economy. He said the intermittent cuts in operation due to mandated, planned maintenance after every 4,000 hours of operation had been eliminated with the installation of a second overhead compressor. The installation of the second compressor has ensured uninterrupted operation, such that when it is time to carry out planned maintenance, the plant switches to the standby compressor and carries on without notice of planned shutdown for planned maintenance. Dr Asante commended the chiefs and the people of Nzemamaanle and the Western Region for the support they had given to him in his effort to enhance the operations of Ghana Gas.